Capt. DANIEL WRIGHT (27 Sep 1759, Fauquier Co., VA - 24 May 1838, Madison Co., AL), son of John and Ann Williams Wright. He came south with the family in 1774. He was a Captain in the North Carolina Line during the American Revolution, and served in a company of mounted Infantry (Pension Cert.# 13268, File N. W10016). DAR # A130720. On January 24, 1782, he married Nancy (Ann/Anne) Young, daughter of Thomas Cadet Young & Judith Johnston of Iredell County, North Carolina. She was born in Virginia, July 7, 1762, and died in Madison County, Alabama, June 23, 1833, where she and Daniel settled about 1815 or earlier. Their reports to the kin back home in North Carolina may have induced other close members of the family to follow in 1817. Soon after the establishment of peace from the Revolution, Major William & Susan Young Gill, with their family, and the other two sons-in-law of Mr. Young, viz: Major Daniel Wright and Dr. Thomas Moody, and his sons, William, Henry, and Thomas Young, removed to North Carolina and settled near him. Major William Gill was an Aide to General Washington. In Daniel Wright’s will, dated July 2, 1837, he named sons Thomas, John, and Daniel W. and daughters Nancy Shackleford and Lucinda Wyche. He had another daughter, Elizabeth, the first wife of Thomas McCrary. Her three daughters Evalina, Eliza, and Lucinda were named in Daniel Wright's will as his grandchildren. Most of the information on Daniel Wright was taken from the magazine article, "The Wright Family of Madison County, Alabama." 1. Thomas Wright, born Dec. 15, 1782 Surry County North Carolina, died Feb. 14, 1844, in Laurens County, South Carolina. He owned a plantation near Young's Store in Laurens County. He was married Sept. 22, 1812, Laurens County, South Carolina to Nancy Simpson, born Dec. 22, 1794, died March 19, 1880. She was the daughter of Col. John Simpson and Mary Wells. 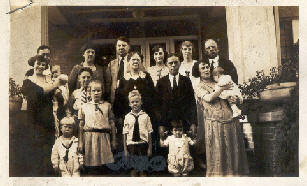 They had twelve children, all born in Laurens County, South Carolina. 3. Nancy Wright married Mr. Shackleford. No further information. 4. Lucinda/Lucy Wright married Mr. Wyche. No further information. 5. Elizabeth/Betsy Wright deceased before July 2, 1837. She married Thomas McCrary. He married second, Nancy Wright who was his first wife's cousin and daughter of Williams Wright and Sally Mitchell. Elizabeth and Thomas had three daughters. He died Aug. 31, 1865. 8. John Wright, born Sept. 19, 1790, in Surry County (now Yadkin) and died January 2, 1847, in Tate County, Mississippi. He married May 5, 1819, to Mary Yarrell Wood, born Oct. 31, 1803, and died 1865 in Tate County. There is a record of one child; there may have been others. 9. William Wright married Nov. 9, 1804, Betsy Hanes. 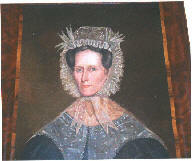 ELIZABETH “BETSY” WRIGHT was born 12 Apr 1793 in Iredell Co, NC. , the daughter of Capt. Daniel Wright and Nancy Young. Betsy married Maj. Thomas McCrary, 23 Sep 1812. Three of her siblings migrated to Alabama: Daniel, Williams, and Lucretia (Lucy)-are known to have settled in Madison County, Alabama. The story of the migration of the three Wright children to Alabama, is told in a magazine article, "The Wright Family of Madison County, Alabama," by Mrs. Atwood Hill Mathes (Tylers Quarterly Historical and Genealogical Magazine, Vol.8, pp. 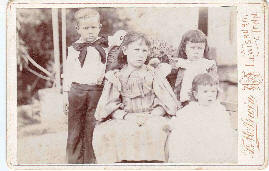 l94-206), who incorrectly included Amelia and John among the children who settled in Alabama. 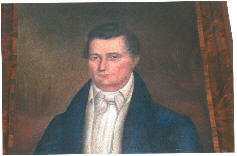 Thomas McCrary, an early citizen of Madison County who is thought to have accompanied the Wrights in their migration, was twice married to a Wright. His first wife was Betsy Wright, daughter of Daniel; the second was Nancy, daughter of Williams Wright. He died August 31, 1865, and was buried beside his first wife. Betsy died 10 May, 1821, aged only 28, and is buried in the Wright Family Cemetery, Madison Co., AL. Betsy is buried in the same Wright family graveyard as her father, Daniel. Maj. Thomas McCrary was born 17 Jan 1789 in South Carolina, and was the son of Matthew McCrary and (Miss) Dillard. Tyler's Quarterly, "Wright Family of Madison County, Alabama" pg 194, provides the following records which were copied from the BIBLE of Thomas McCrary, and the Bible, still intact, was in possession of his granddaughter, Hattie McCrary, who lived in the old home." "Thomas McCrary born Aug 12, 1786 - and was married to Betsy Wright 23rd Sept 1812 and my wife Betsy Wright was born 12th April 1793." 2) Nancy Evalina McCrary b Jan 1815 - married a Mr. Eastland much to the grief of her Father. He did not forgive her for years but the reconciliation was finally effected by his second wife. b) Tommie, who married Dr. John Hampton - his second wife. f) a son who died unmarried. Thomas McCrary departed this life 31st Aug 1865 "
There was another McCrary Bible record very like the other only that it contains the records of the Williams Wright family. As stated above, Thomas McCrary married Nancy Wright, oldest child of Williams and Sally (Mitchell) Wright. They were married only two years before the death of Williams and his wife. The McCrary’s made a home for these children and reared them as their own." However, p. 330, "From Whence We Came" states: Thomas McCrary was buried beside his first wife, Betsey, in the cemetery on the Daniel Wright plantation in the NE 1/4 Sec. 26 Tswp 2S R1E. It is about 1/2 mile, as the crow flies, from the old homestead and a short distance off the road as you go back to the Öld Winchester Road. According to the book, several years ago Alice McCrary Thomas had the body or the dust of Thomas removed and placed beside Nancy's grave in the SW 1/4 of Sec. 14 Twsp 2S R1E. This is across the road from the home of Nancy's parents. I have not idea why she did this. As always, if you are a descendant, and would like to share information, please contact me!